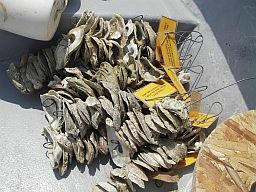 The shellstring survey is conducted every year from late May through early October in several of Virginia’s western Chesapeake Bay tributaries. A shellstring consists of twelve oyster shells of similar size drilled through the center and strung on heavy gauge wire. Shellstrings are replaced on a weekly basis and the number of spat that settle on the smooth underside of the middle ten shells are counted. 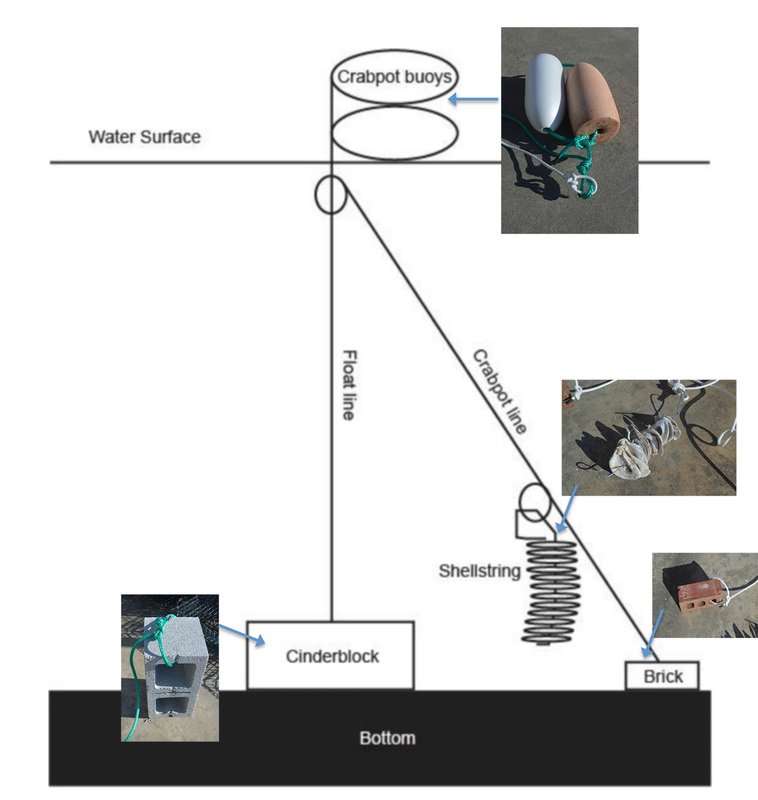 The resulting data provide an index of oyster population reproduction as well as an estimate of the development and survival of larvae to the settlement stage in a particular estuary. Settlement of spat on the shellstrings can be used as an estimate of potential oyster recruitment into a particular estuary. For more information and data pertaining to the shellstring survey see the annual summary reports.